Communities across the country will unite at more than 50 FARE Walk for Food Allergy events in 2016, raising funds to improve quality of life, health of individuals with food allergies. Funds raised through the FARE Walk for Food Allergy support critically needed research, education and policy work that impact the lives of all those affected by food allergies. Thousands of walkers, volunteers and supporters will come together over the next six months in more than 50 cities in support of their loved ones, friends and the 15 million Americans with food allergies for Food Allergy Research & Education’s FARE Walk for Food Allergy. The FARE Walk for Food Allergy, which kicks off June 4 in Omaha, Neb., gathers friends, families, neighbors and co-workers together from coast to coast for family-friendly events that inspire and raise awareness. 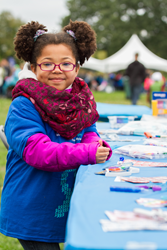 The 2016 FARE Walk for Food Allergy is made possible thanks to generous support from premier sponsor Mylan Specialty L.P.
For a complete list of FARE Walk for Food Allergy events or to register, form a team or make a donation, visit http://www.foodallergywalk.org.